This Autumn Ridge Outfitter 14RB is the perfect couples travel trailer. Inside along the front there is a dinette where you can enjoy your meals. Next to the dinette there is additional seating at the bench. Throughout this model you will find overhead cabinets for all of your belongings. 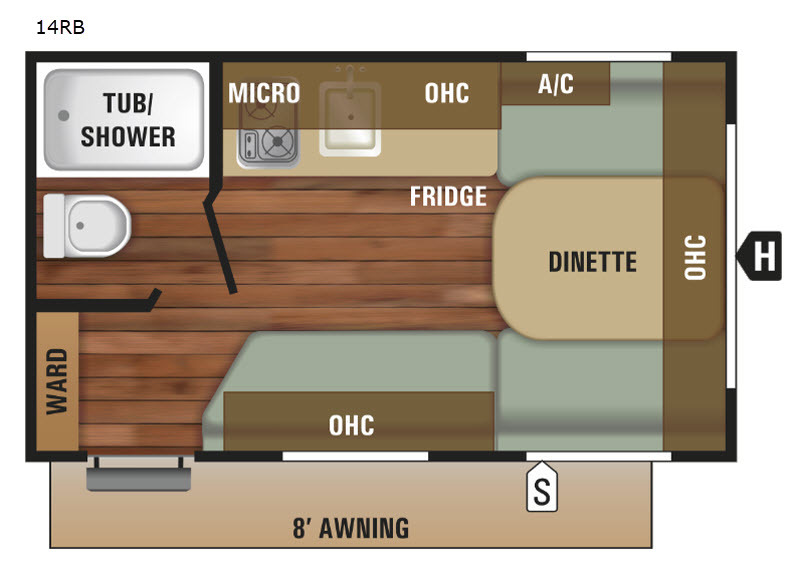 You will enjoy the convenience of your own on-board rear bathroom complete with a tub/shower and a toilet!